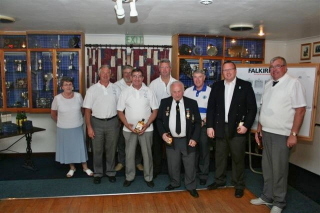 The Provincial Grand Lodge of Stirlingshire Charity Bowling Trophy 2012 was staged at Tulliallan Bowling Club on Sunday 12th August 2012 when Lodge St. John Tulliallan No 598 acted as host Lodge. Twenty-three teams of four players took part in excellent weather. 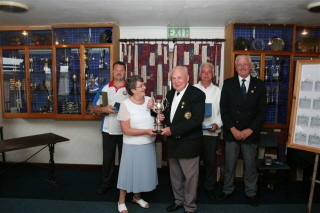 The prizes were presented by Mrs Elizabeth McKinnon, wife of the Provincial Grand Master. 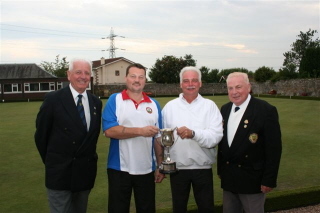 A keenly contested final was played out between Lodge St John Slamannan No 484 and Lodge Craiginnan Dollar No 850 and Lodge Craiginnan Dollar No 850 emerged as winner at the final end. This is the second time that this Lodge has won the Competition. 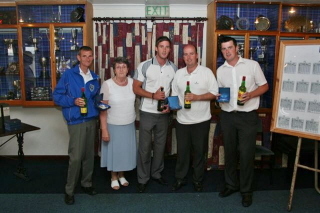 The beaten semi-finalists were Lodge St. John Slamannan No 484 and Lodge Abercromby No 531.